Labradoodle, pomapoo, schnoodle. If these names sound vaguely familiar, they should. They are the combination of American Kennel Club, or AKC, registered breeds. There is a difference, however. The designer dog fad started when owners saw attractive dogs come from accidental matings of their pooches with another canine. They then wondered if others saw the potential as a desirable new breed. Of course, none of these dogs have the approval of the AKC. However, both the AKC and the United Kingdom’s Kennel Club try to protect all dogs. 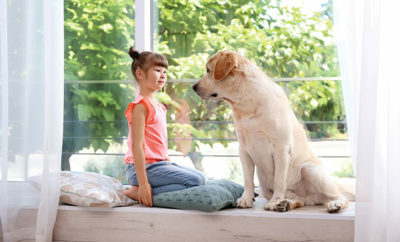 They have special registration programs and activities for the non-purebred pooch. The designer dog breeds are allowed to participate in obedience trials, but not in a standard AKC show. There are new organizations for the designer dogs such as the International Designer Canine Registry®, or IDCR. According to the IDCR website, it is “the world’s premier designer dog registry and is dedicated exclusively to providing certified registration and pedigree services for all designer breeds.” Another organization is Designer Dog Rescue, an all-mutt rescue dedicated to rescuing all breeds in danger of being euthanized. A 501 (c)(3) organization, they educate the public about designer dogs and mutts. The Designer Dogs Kennel Club is an organization that registers the different names by which the dogs are known. Because of a lack of standardization, many of the over 500 hybrids have more than one registered name. Designer dogs are cute. To improve our world and its species, owners and breeders have selected purebred dogs that have attractive qualities and crossed them with another breed that has desirable qualities too. Thus, we get the beautiful labradoodle, a smart and sociable dog, and the cockapoo, a family-friendly cocker spaniel-poodle mix, among others. Reputable breeders try to find homes for all their dogs and do a good job of it. They pull no punches and tell prospective owners what they are getting. A dog DNA test can tell you the percentage of each dog you are getting in the pup. If the breeder hasn’t done the test, beware; you are simply getting a mixed breed dog! And that’s the problem. The breeder may be reputable and use only purebred dogs, but dog litters typically have more than one pup and they are all different. How do you know that your choice will have the characteristics you are looking for? You don’t! The ethical question is, what happens to those dogs that do not show the desired characteristics? Lovable they may be, but they may simply be euthanized to keep the new breed pure. The labradoodle is an attractive mixture of the Labrador’s slender looks and the curly poodle fur. Its main claim to fame is that the dog sheds considerably less than the Labrador retriever because of the poodle gene. Yet the coat can come in three different styles: straight (hair), wavy (fleece) and curly (dense, thick curls with no odor). It is said to be hypoallergenic. 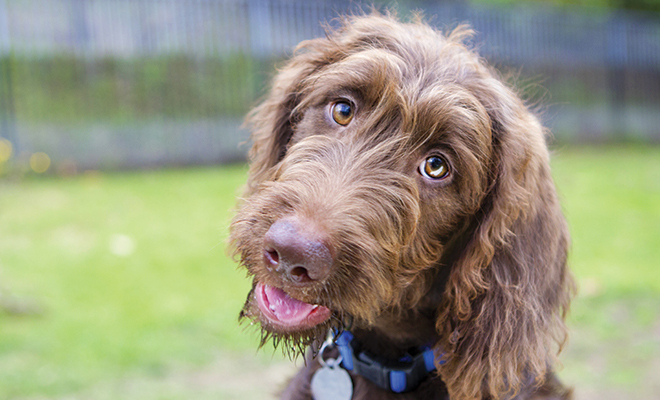 The labradoodle is friendly, smart, non-aggressive and great for families. The cockapoo is a very friendly pooch that likes being around people and pets. They have a reputation for shedding a lot, so they need lots of grooming. The goldador, a golden retriever and Labrador retriever hybrid, is a medium-sized dog that is a great family pet. It’s active, noisy and a great swimmer. The maltipoo, a Maltese and miniature poodle cross, is known for its fun-loving and loving character. It is a small dog that will adapt to any size or aged family. It is active, but well suited to apartment living. The pomsky, a Pomeranian and husky mix, is an active dog that tends to howl. Even so, it is a lovely hybrid with the beautiful markings of the husky and its blue eyes. The dog is smaller than the husky and loves to be the center of attention. It is an adorable fluff ball, cute and silly. Sources: care.com petassure.com and rover.com.